← Lordship Salvation: Christian or Cult?? This is an excellent article by our friend John, on the perversions of God’s Free Grace. 3. Arminianism (denial of eternal security) – salvation, once attained, must be maintained by adherence to God’s laws. I have seen these perversions used in a wide variety of ways, as I am sure you have. While it is critical that we continue to fight these obvious errors, I would like to discuss some more colloquial lies. I think that people often fall into this trap because they are afraid that someone will abuse Grace (that is, get by with something). The most ironic thing about this is that perversion of Grace is the ultimate abuse of Grace. I have heard pastors and others say that someone can’t be saved if his motive is simply to be saved from going to Hell. If this is the case, then there would be little purpose in mentioning Hell in the Bible. This is the old “my motive is better than your motive argument.” The Bible is silent as to motives for being saved. There is no room for boasting before God. I hear this one a lot. It is often espoused by those who confuse loving Jesus and serving Jesus with belief in Jesus for salvation. But, the eternal destiny of someone who is saved, but has nothing to show for it (1 Corinthians 3) versus the eternal destiny of someone who has not trusted in Jesus as Savior (Matthew 7: 21-23) is different. The “worst” Christian goes to heaven. The most committed “Christ follower” who never puts his faith in Him alone does not go to Heaven. KJV Ye see then how that by works a man is justified , and not by faith only. NLT So you see, we are shown to be right with God by what we do, not by faith alone. The NLT “translation” totally violates God’s Gospel of salvation by Grace through faith. KJV And God saw their works, that they turned from their evil way; and God repented of the evil, that he had said that he would do unto them; and he did [it] not. NIV When God saw what they did and how they turned from their evil ways, he had compassion and did not bring upon them the destruction he had threatened. KJV I tell you, Nay: but, except ye repent , ye shall all likewise perish . The NLT version reduces the Gospel to a straight-up gospel of works. The theory of “eat the meat and spit out the bones” could be roughly translated as “aside from that Mrs. Lincoln, how was the play”. This lie helps keep books such as “The Hole in the Gospel” and “Radical” in publication. The only logical outcomes of such books would be to cause the faithless to exercise more faith in their own works, or to cause the poorly grounded babe in Christ do be deterred or distracted from his faith. The mature faithful should be sufficiently discerning to know these books are destructive. This is for the fence riders who would like to think that salvation is by Grace through faith, but they want to hold onto “turning from sins for salvation” and the like, just in case they are wrong. Faith in Christ plus something else is not the same thing as faith in Christ. This one includes “if it is old, it must be right.” Nothing could be further from the truth. This is usually used in reference to old-time preachers who have gone on to their reward and who promoted LS, Calvinism and the like. Its companion lie is that salvation by unmerited Grace, appropriated by simple faith in Christ is some newfangled notion being promulgated by latter-day apostates. It is hard to swallow that so many of the kind, considerate, gentle (among the many positive attributes that I don’t consistently possess or display) people who are wrapped-up in these lies may by unsaved. It is also hard to fathom how one can obtain post-graduate degrees in theology and miss the central theme of Christianity! It is hard to believe that people would dedicate their lives in churches teaching lies. Many of the mainline denominations, evangelicals and writers use these lies, in different measures and combination, in coming up with their deadly cocktails. These are just a few that I could think of. There are lots more. Be on the lookout for them. This entry was posted in Calvinism, Christian, Christianity, Faith, Free Grace, Grace, Hope, Lordship Salvation, Reformed theology, Religion, Salvation. Bookmark the permalink. Thank you, Jack and Califgracer! I’ve been very blessed by the articles here! Thanks Andy for your comments about being blessed by this site. I pray that many others would be blessed as well! We appreciate your commenting from the “deep archives” of our web site. That is why we leave them active — because there is truth there. The “hymn” you quote is apparently “Victory in Jesus” which you may hear in many conservative churches on radio and TV, mainly because they do not think about the words or… because it has an upbeat sound… But properly analyzed it has a dangerous message. “I repented of my sin and won the victory.” What a shame!!! Glad you are blessed by our archives — and we are blessed by your comments. Thanks for joining with us in contending for a clear Grace Gospel message.. I read these song lyrics and actually felt like a ton of bricks fell on my head. I know it’s from a post long ago, but the poster did a very good job of showing how LS is taught even to the youngest of children. I have been so blessed reading this blog, going back into the deep archives. I hope it’s okay to be making comments on older posts. I am thankful for the things the Lord has shown me through this blog. FYI, for those who are not subscribers to our web site. New post on Peace on Earth without the God of Peace? Thanks for your comments. You both confirm that we all need to keep teaching and sharing the good news of the grace gospel of Ephesians 2:8-9, John 3:16, Acts 16:30-31 and 1 Corinthians 15:1-8! Eddy said, “I don’t think the situation will improve in the future. The great apostasy is unfolding very rapidly before our eyes.” So true! If I was a man, I’d be preaching the gospel TRUTHFULLY, but well…women cannot be Pastors, although some churches allow it. I have a friend, who went through three years of schooling to become a minister. She said she failed twice. She didn’t succeed in her job as a hospital chaplain, either. Grace churches are indeed VERY RARE. I lived in a large city with many churches. Yet, I would not be able to find a gospel preaching church for myself and my two friends. We are currently “churchless”. I don’t think the situation will improve in the future. The great apostasy is unfolding very rapidly before our eyes. The scriptures quoted by Grace are very appropriate to the current situation. Thanks for those scriptures — very appropriate for the discussion. You know you are welcome in this web fellowship and because I, like Bruce’s Mom, am unable to get out and attend a church, you folks are a great fellowship of believers for me. I pray this web site will continue to be a place of Free Grace fellowship even if/when/after some of you find a good local Grace Church. Bruce, Shirley and I understand your Mom’s predicament. Even as large as the inhabited area is here in our area, we were not able to find an acceptable Free Grace fellowship when we were able to get out. Thanks Bruce. Grace churches are rare. They would not be as rare if those of us who know better would be more courageous in separating ourselves from churches that pervert Grace or do not clearly proclaim the Gospel. john, I know what it’s like because I also haven’t been able to find a church where I live, where the Pastor is preaching the gospel. In this passage, Paul goes on to say, “But I certify you, brethren, that the gospel which was preached of me is not after man. For I neither received it of man, neither was I taught it, but by the revelation of Jesus Christ.” How many preachers today are preaching a gospel that man invented, not the one that came by revelation of Jesus Christ? Matthew 7:15-20, “Beware of false prophets, which come to you in sheep’s clothing, but inwardly they are ravening wolves. Ye shall know them by their fruits. Do men gather grapes of thorns, or figs of thistles? Even so every good tree bringeth forth good fruit; but a corrupt tree bringeth forth evil fruit. A good tree cannot bring forth evil fruit, neither can a corrupt tree bring forth good fruit. Every tree that bringeth not forth good fruit is hewn down, and cast into the fire. Wherefore by their fruits ye shall know them.” When friends and I were exposing false teachings on Facebook, someone posted a picture of a sheep, which was really a wolf. It looked like a sheep on the outside but you could see the paws of the wolf, and it was holding the head of a sheep so you could see the wolf’s face underneath. I do hope that you continue to search for a local church home. Grace churches are indeed rare, but they do exist. Dr. Tom Cucuzza’s church, Northland Bible Baptist Church is one great example. Dr. James Scudder’s Quentin Road Bible Baptist Church is another. We all need fellowship and a place to worship and serve the Lord (you are serving him well through your helpful articles and posted comments). I realize that some, like my mother who lives in a care facility, are no longer able to attend church. Eddy, any time one looks to himself as the source of his eternal security, he is looking in the wrong place. I am flabbergasted as to why so many churches pervert the Gospel, but they do. What is most heartbreaking for me is people who have a good understanding of Grace, but belong to churches that teach LS and other nonsense. I am sure there are people in my community who are born-again Christians, but I would not know where to find them. I am not aware of any doctrinally sound churches where I live, so the Christians in my community must be hiding out in LS/Calvinist churches. Bruce, I think my wife fits the category or having been saved at a young age and never having doubted. She and I were both raised in different SBC-affiliated churches. She said that she was told she needed to be sorry for her sins and to believe in Jesus. However, she said she never based any of her assurance on having been sorry for her sins. I was taught the turn from sins and commit for salvation (LS). I was trusting in those things After I showed my wife the SBC statement of faith, she is no longer willing to go to an SBC church (or any other church that leans LS). . I think it is essential that I not aid and abet the frustration of Grace by being unequally yolked in an LS church. The trouble is, I can’t find any church near my home that does not pervert the Gospel in some significant way. At this point, my church fellowship is primarily on this Blog. Excellent question John and Jack gave a fabulous comprehensive answer. I would just like to add one thought. I believe that there are many many genuine born-again Christians out there who have been so “pushed down” by LS teaching for decades that they simply capitulate to a state of (or a public acknowledgement of) “not knowing for sure.” Does that mean that they were necessarily never saved to begin with? NO, but it sure is a sorry state in which they live day by day. I suppose that I am one of the more blessed believers (I’m sure that many of our readers would fall into this camp too) who came to saving knowledge of Christ at a young age (eight years old) who has never had a moment of doubt of salvation since I trusted Christ alone for salvation. And that is in spite of ups and downs spiritually and in spite of being taught a certain amount of LS nonsense along the way. Praise God that HE ALONE has given me that blessed assurance for all of these decades! I cannot answer that.. When Tom and I preached in our church, we would always give the Free Grace Gospel and a clear invitation for folks to believe it. Why do others not? Only they know. Souls are at risk when we don’t share Christ. Many churches nowadays are not preaching the free grace Gospel clearly, while at the same time they are giving the church members a false sense of security. It may sound odd, but I saw many examples as such. The pastors of these churches keep on giving their members a false sense of being a born again christian and encouraging them to do works, such as to go on short term mission trips. Many of them think thy are saved because those churches treating them as believers, even asking them to participate in preaching the Gospel. When one ask them what identified them as christians, they would point to their participating in various church activities, daily Bible studies, and fellowship with other christians. This is another form of tricks and lies for sure, not much different than the tricks and lies of LS. How much time does it take to preach the Gospel clearly? Why those pastors never did that? Two of my relatives, husband and wive, died few years ago with their own thinking that they would never make it to heaven. They attended the same church for a long time. They went to that presbyterian church every sunday. Unfortunately, many of my relatives are still attending that same church. Tom is the minority amount pastors. He preaches the Gospel clearly in each of his sermons. Why most pastors are not doing that??? It is likely sheer ignorance… but also could be folks fear of retribution for exposing her as a shill for the Catholic church. I’ve been experienced in the past pastors using Mother Teresa as an example of a good christian. They gave people the impression that she went to heaven. I don’t know why so many christians are comfortable with such obvious error. Mother Teresa is a Catholic. She laboured for her salvation (i.e. by works) and she found no rest at the end of her life. However. many christians still think she is saved. In such case, I think it is save to make the statement that unless Mother Teresa put her trust in Christ at the last moment of her life, she is not in heaven. Graceful enough though. and he doesn’t deserve that much nicety. How is it that anyone can follow, read or listen to that guy? Thanks Jack! That answers my question. That story about JMac is tragic… but it shows that he teaches both LS and Calvinist to the extreme. I will put that in my JMac file. But Calvinists and LS don’t have to be logical or think compatibility in their teaching. I have witnessed to some who, after hearing the Gospel say, “Yes, I believed that a long time ago. But you tell me the Bible says I am going to Heaven?” So I don’t assume they understand completely, therefore I encourage them and explain more Scripture again and ask them to trust in Christ for their eternal life. We are only able to discern by what they verbalize about their salvation. That is why I am happy that — whether they are saved or not is between them and the Lord. Hope that answers your question. But, unless I have discussed their salvation or hear their clear testimony, I dislike assuming anyone is saved — therefore I share Christ and His Free Grace salvation. Jack, I thought that to trust in Christ meant to believe his promise that one would have eternal life by trusting in Him for eternal life. If one “doesn’t really know”, than what is it he is trusting in Christ for? I guess my question is, whether trusting in Christ and “never really knowing” are mutually exclusive? [A very young Child]: I listened to your sermon last Sunday, and I was wondering, why didn’t God choose everybody to be saved? Kids always ask those questions. Adults don’t ask them because they’ve learned there’s no answer. Why didn’t God choose everyone to be saved? You know something, honey? I don’t know. I don’t know. But, I’ll give you a basic answer, Ok? And the basic answer–and I hope you can understand this–the basic answer is: because He got more glory for his own name by doing it the way He did it. God does what He does for His glory. And somehow, in some way, God is glorified in what He did, and that’s why He did it. I agree with you totally, the lyric is confusing, mixing grace with works. I would not be surprised if there are more old hymns with confusing lyrics. Jack, very interesting. One question: If someone is trusting in Christ alone for the Gift of eternal life, how does “never really knowing “equate to trusting in Christ for eternal life? You may think you lost the plot but you have accurately described the point and the conundrum a Calvinist must feel — “Am I really one of the elect/chosen to go to Heaven?” They must be miserable never really knowing.. (even though they deny it). True Free Grace is so — totally guaranteed and Freeing!! Very interesting link on Pascal’s wager. Thanks. It does bring up an interesting point. As most LS preachers are Calvinist and so believe in God’s election of sinners for salvation who can in no wise miss out on this salvation, what is the real difference if Free Grace is preached? The elect will be saved no matter which gospel is preached and the non elect can’t be saved no matter which gospel is preached, so what difference does it make? Do the non elect really need to know now that they are going to hell because God didn’t elect them to be saved (as proved because they don’t serve Him with their lives), when there is absolutely nothing they can do about it anyway? What really is the point here? There are no phrases or instructions in the Bible to “repent of sins” for salvation. Since the precious word “repent” has been so misused and misunderstood, folks see that phrase and believe the English dictionary definition of the word ie, “turn from sins” for salvation. That’s simply false doctrine. It is a shame to have such great music ruined by the words. Hi Jan, Thank you for sharing that very insightful post. Your comment on his commitment to “commitment salvation” and Bruce’s comment about a theologian having to continually defend his writings reminds me of a quote from Augustine. Bruce – I recall reading in a book MacArthur was not sure of his salvation due to the fact he believes he has to persevere to the end. (I wish I could remember the book I read it in.) According to Calvinism, no true believer can have assurance or certain proof until they have persevered to the very end. I’d like to share a link. Tell me what you think: Lordship Salvation, Free Grace, and Pascal’s Wager Br Dr. Fred Lybrand. Thanks Eddy. I still think the lyrics are confusing, at best, and LS, at worst. Here is the story behind the song Victory in Jesus. I hope you will find the article informative. Thanks for the best laugh I’ve had today. You forget. MacArthur has already told us, of course we can have assurance. It is certainty we cannot have. It is so sad to me to see men like MacArthur, Piper and Chan, these are leading spokesmen for LS!, have absolutely NO assurance of salvation. All three of these men have declared publicly that they have had doubts of their own eternal life at times. And if they have no assurance, how can any of their followers possibly have any assurance? Jack, I find people that teach and believe LS, Calvinism and other perversions of Grace are generally unreceptive to hearing the Truth. I guess it is very threatening to become vested in a false gospel and then have to admit it. Particularly if one has raised children on a false gospel, and has had his children ardently embrace it. I sense that much of the professing community has either never experienced Grace or has developed a very flawed understanding of Grace through exposure to pervasive faulty teaching. Almost everyone I encounter who is interested in discussing the Bible is more interested in teaching me some profane false gospel. 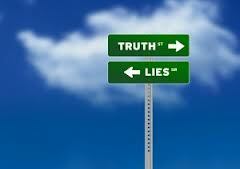 I think it is incumbent upon me to make clear to anyone pushing a false message that I know the Truth. Similarly, one shouldn’t need a divining rod or a slide rule to figure out a group’s statement of faith. If a church or website either perverts Grace or won’t tell explain how someone gets to heaven in a clear way, then I don’t want anything to do with it. Thanks for that testimony, “Our salvation IS a beautiful thing” and those who teach and believe LS, Calvinism, etc all seem so tortured in a way, and don’t seem to recognize or appreciate that simplicity, beauty and Truth.. Your statement, “But only God really knows…” is so true.. and each believer SHOULD know for sure — but in reality God and the individual are the only two guaranteed to know for sure. Jan I really loved your last paragraph because…well….thats me too. I know deeply that I could not save myself- I knew I needed a Savior to do that. He continues His work, not because in anyway I deserved it – which LS, Calvinism, Arminianism keeps stating that we have to keep working to deserve it or we did not have it in the first place because we just somehow did not get voted in, in the special election I mean. He continues His work because of His love for me and everyone else who puts there trust/belief in Him. Yes, love…. It is the only thing that keeps us in His Hand and secures us there. This is what frustrates me to no end about the works “doctrine”. If we feel as Christians that we have to continue works, What was Christ’s death for? What can we possibly add to His finished work at the cross? How can we even come close to what the Holy Spirit has the power to do already? Personally, I think he probably was saved as a youth but he can’t admit it now because of his commitment to…commitment salvation. For him to admit he was saved by faith alone in Christ alone as a youth would undermine his entire platform. Our salvation is a beautiful thing! Jan, what a beautiful concluding paragraph. You have given all of the glory to God and have been so honest! I would much rather read your testimony than MacArthur’s or any of the other confused writers out there. There is no confusion in your message! Sorry this is old now. I haven’t been paying attention to this thread anymore but I see it is still going on. Regarding MacArthur and childhood salvation, you should go over to the GTY website and find MacArthur’s testimony. It’s in an extensive interview he did with Phil Johnson, a sort of “MacArthur unplugged” type of thing. They covered pretty much everything that makes MacArthur tick. I forget what they called it, but you should be able to find it via the search feature. Part of it was his salvation testimony. He begins by saying he always knew he needed Jesus to save him. He then gives an account of when he was like 8 or 9, or maybe 10, around that age, where he got into some mischief and felt guilty about it. He told his father about it (or got found out, I forget which) and they had a chat that sounds like he ended up trusting Christ at that time. But because he is so steeped in LS, he won’t admit it. He says he doesn’t know if he was saved then because he was too young to really understand what salvation entails, by which he means he can’t say with any real certainty that that is when he gave himself fully to Christ, as he wouldn’t have had the sophistication to understand what that would mean. He then goes on to college age and says as far as he knew he loved Jesus. Then he had a very serious car accident, which rewrote the map for him and the result of the accident was a full commitment to Christ, etc. He concludes this part of the interview by saying he’s convinced that somewhere along the line the Holy Spirit did a transforming work in his heart. We really never do get the standard “Jesus died for me” salvation testimony from him, at least not in this interview. We have to get that from the wider body of his work. What I would like to know is what he thought the gospel was before his car accident. Because he says of his early college years that as far as knew he loved Jesus. Now, being the good TULIP man that he is, he must surely know no one can possibly love Jesus at all (total inability and all that) unless he is regenerated. And he does not deny here that this was actual love. Rather, to the best of his ability to discern such, he says it was love. So, (using his own standard of fruit assessment) was he saved then or not? Was that really fruit? And what about now? Is he only fully committed “as far as he knows,” or is he really and truly fully committed? I mean, he thought he loved Jesus before as far as he knew, so…how does he know he really is fully committed now? I dunno. It is so much clearer to simply confess that Jesus died for me and my salvation is certain in Him. Some days I am more committed and others, not so much. Some moments I am committed and then the next moment, I fall into sin. Some areas of my life are all His and some are in flux. But one thing holds true and steady and that is His finished cross work. That is unchanging, full, and complete. His perfect, precious blood never fails its interposition and He never fails to make intersession for me. In His sacrifice alone I have salvation, assurance, and certainty. His cross clears away all doubt. My faith is not split between His cross for my salvation and my fruit for my assurance. It is all deposited in the same account. IMO, this is one area where diversification is contraindicated. I finally found your salvation message on your web site and it is contrary to God’s Word. In More than one place you say, So repentance includes a “turning” from our wicked ways. Because we do not advertise false doctrine or Lordship type “salvation” I have removed your web link. Please search our Blog for repent or repentance and you will see much clear evidence that despite an English Dictionary definition of the word Repent, it means a simple change of mind. I think one needs to be equally discerning in evaluating “Christian” churches, “Christian” books, including versions of the Bible, “Christian” music and “Christian” radio and TV. We are always engaged in spiritual warfare, and the enemy does not play by any rules! Marcella, I think the LS message is that the song implies that salvation is obtained through repenting from sin. It also uses the term “won the victory”, perhaps with respect to receiving Grace from God. John, I’m familiar with that hymn. I didn’t know it has an LS message. Good grief! I have two CDs of hymns. I’ll have to listen to see if there are any LS messages in those. Some of my favorite songs are “Just A Closer Walk With Thee,” “Holy, Holy, Holy,” and “Fairest Lord Jesus.” I hope these aren’t LS. I got rid of my “Christian” rock CDs. Do I also have to get rid of my hymn CDs? LS is at the core of the SBC “faith”. This was one of the reasons this stuff is so hard to escape. They indoctrinate children and adults alike. John, it’s good that you are standing up for the truth and not inching away from it towards LS or an other false gospel. Your Bible study leader does need prayers. I’ve found that, as I have discussed the Bible and doctrine with a few Pastors, they will become edgy and defend their position and their beliefs, taking scripture out of context. One Lutheran Pastor invited me to come and discuss his church’s beliefs with him, but I know they are false, and he is not going to convince me to believe it. I prayed for him. One Pastor refused to talk to me about infant baptism, which does not offer salvation. I think some Pastors are so adhered to false teaching and false doctrine that they don’t know any other way or they refuse to accept any other way of teaching or any other gospel message. It just seems to me that false doctrine is highly promoted and the true gospel message gets trampled under foot by these preachers, who defend their false doctrine. I used to listen to the MO Lutheran Church’s internet radio station. They air programs that expose false doctrine and false teachers, and they have a man that says, “We’ll be taking your false doctrine now!” Yet, the MO Lutheran Church uses Martin Luther’s Cathecism and teaches that doctrine, completely false! How can a church be “taking false doctrine” yet teaching it at the same time? It makes no sense to me! Jack, one of the tragedies is that when a person is led to the truth, he may go discuss it with his pastor, who will “straighten him out”. I am involved with a Bible study, as you know, in which the leader will go back to his UMC group and try to get pointers on how he can get me to accept their LS errors. I am sure he established the Bible study in the hopes of getting people on board with his nonsense. I am also pretty sure that he is an unwitting accomplice in peddling LS. I pray for him regularly, because he does not seem to respond to reason (I am sure he thinks the same thing regarding me). Yours is a great testimony.. one of understanding the lie and believing the Truth. I am sure you were led by the Holy Spirit out of the LS lie — but every person is led to Truth — some respond and others don’t — their decision. Stone, great post! One of the “breakthrough” moments for me was when I realized that I was incapable of making a better commitment than I had tried to make before. I had been sincere in my commitment, but it didn’t last very long. I had to be honest with myself that there was no value in my commitments. Jesus was not asking me to make a trade with Him. He was offering me a gift that I could only accept as a gift! I don’t know how I escaped the LS lie, but I believe that I was led to the truth. What wonderful good news the Gospel is when it is not ruined by the purveyors of LS and other BS (bi-lateral “salvation”). What a wonderful Savior! Wow! MacArthur has not changed his works message since 1990.. That is 21 years and he carries on with the same lies today. Shameful.. and to think he is teaching young people in his college and influencing other preacher, teachers and colleges. Francis Chan is one of his clones who is propagating the same foul message through his college, books and speaking engagements. How does this relate to His teaching on Lordship? If salvation is by simple child-like faith in the Saviour, then child salvation is no problem. On the other hand, if salvation involves obedience to Christ’s commands, surrendering to Christ’s Lordship, fulfilling the demands of discipleship, commitment of one’s life to the Saviour, etc., then salvation has become a very involved and complicated thing that would not at all be simple for a child to do. If we complicate the gospel with all kinds of Lordship requirements, then we have indeed made it very, very difficult for children (and for adults)! If we proclaim the gospel message that salvation is simply BY GRACE THROUGH FAITH (based upon the Person and work of Christ, not based upon sinful man’s fragile commitment), then this is a message that can be gladly received by people of all ages. Good morning, Jan. You are right, and it’s so maddening! When I was at Benny Hinn’s masquerade, errrr “crusade,” his stage hands raced to the stage, set a row of empty wheelchairs down, and Hinn declared people were healed. I looked around the auditorium, but didn’t see anyone rejoicing, claiming healing or any evidence of a miracles just taking place. I had walked past a few rows of people in wheelchairs to find a seat, and those people were all still sitting in their wheelchairs. After the crusade, I walked past those people again, and they looked so disappointed and sad. Some people go to things like this with high expectations of being healed, and when it doesn’t happen, it’s discouraging for them. Lack of faith? Baloney! It’s manipulation by false prophets and their broken magic wands. Jan, I also am sorry to hear of your incurable illness. Though we be weak in the body and diseased in the flesh, Jesus Christ is our Lord and source of strength. Regarding the hucksters, I was stunned by what I experienced and witnessed at Benny Hinn’s meeting. He has very tight security. Once I got inside the auditorium, all of the good seats were reserved for Hinn’s financial supporters. The rest of us had to sit way on the side or in the back. Hinn distracts the audience while some of his workers set up props on the stage, then he declares that a miracle just took place. Phoney!! I read on the internet that a woman fell slain in the spirit on the stage at one of Hinn’s meetings. Someone fell on top of her and she died. These false prophets make me mad! Bruce, yes, Joseph Prince preaches a prosperity gospel. I used to watch him on Daystar. I am so saddened to hear of your illness. I will certainly pray for you as the Lord lays you on my thoughts. You are such a wonderful lady of grace! Regarding your comments about the hucksters, I just read a book entitled Unmerited Favor, by Joseph Prince. Prince is a pastor of a mega-church in Singapore. His preaching is broadcast worldwide. What led me to buy the book was the great title and my hearing of a couple of Prince’s sermons that were very much grace oriented and spoke strongly against legalism and LS teaching, although he never labeled LS as such. Sadly, although the book began with a strong grace message, it quickly morphed into a promotion of a prosperity (health and wealth) “gospel.” Prince quickly distanced himself from the nomenclature “Health and Wealth Gospel,” but the thrust of the book was definitely in that direction. He even had the audacity to quote 1 Peter 2:24b (“by whose stripes ye were healed”) as if it were a blanket promise of physical healing for all believers. I am so glad that you recognize that James 2 is speaking to believers, not to unbelievers. James makes this clear in chapters 1 and 2, referring to his readers repeatedly as “my brethren” and “my beloved brethren.” Lordship Faith teachers just love to use James 2 as if it applies to unbelievers. They are wrong. James is speaking to believers about the quality of their faith, NOT about the reality of their faith (condition not position). I’d bet my bottom dollar not one of those “miracles” was anything of the sort. In order for me to believe any of them are in fact actual miraculous healings I would need to see lab work, or some other objective proof of a diseased state totally removed. I am not interested in “accounts” of some sort of rod in a leg being removed. Jesus told those He healed to go and show themselves to the priests for verification that they were indeed no longer afflicted. The bent woman was made straight in plain sight of everyone. The blind were made to see the same way, and the lame made to walk. Thanks John! That does make sense. Thanks, John! I will study this out. I know that James 2 pertains to believers. Jan, during my cult days, I was involved in the Latter Rain movement. I witnessed and participated in laying hands on people and seeing them miraculously healed. Several people testified of being instantly healed. At the time, it was very exciting, but now I know these were counterfeit manifestations and not of the Holy Spirit. I attended many, many meetings led by people, who I now know are false prophets: Benny Hinn, Todd Bentley, Patricia King, et al., and some local cult leaders and witnessed alot of “miracles.” I use miracles in quotes because I know they were not real. I also participated in the healing ministry at the cult I was involved in. We were told to speak to that sickness or disease and tell it to “Go, in the name of Jesus!” Most people would fall to the floor, slain in the spirit, and then give testimony of being instantly healed. One woman here had a rod in her leg and claimed that the rod was gone after she was prayed over. Her doctor took an x-ray and said the rod was gone and the bone in her leg was healing and growing. We never saw the x-ray or proof to what she said, but it was something that really amazed people. The devil really knows how to fool and trick people into believing something amazing is happening. The Bible says we will do greater works, but it’s not clear what those might be. It could be that it pertained to the people of that day and not to us today. Maybe Jack or someone else can clarify for us. Thank you! sn What are the greater deeds that Jesus speaks of, and how is this related to his going to the Father? It is clear from both John 7:39 and 16:7 that the Holy Spirit will not come until Jesus has departed. After Pentecost and the coming of the Spirit to indwell believers in a permanent relationship, believers would be empowered to perform even greater deeds than those Jesus did during his earthly ministry. When the early chapters of Acts are examined, it is clear that, from a numerical standpoint, the deeds of Peter and the other Apostles surpassed those of Jesus in a single day (the day of Pentecost). On that day more were added to the church than had become followers of Jesus during the entire three years of his earthly ministry. And the message went forth not just in Judea, Samaria, and Galilee, but to the farthest parts of the known world. This understanding of what Jesus meant by “greater deeds” is more probable than a reference to “more spectacular miracles.” Certainly miraculous deeds were performed by the apostles as recounted in Acts, but these do not appear to have surpassed the works of Jesus himself in either degree or number. James 2 is a good scripture passage that discusses faith and works. This is completely beside the point but it’s something I’ve never been straight on (actually, I haven’t given it much thought at all), I wonder if anyone has any thoughts on the greater works we would do. Do you know what those are? None of us have ever raised anyone from the dead or healed anyone by miraculous means or anything like that. Anybody have any thoughts on that? You handled it well. There are many errors in your friend’s logic. Those verses are not promoting LS and I believe he knows that. I received a new twist on LS from the leader of my Bible study today. He has feverishly maintained that someone who is truly saved will show a change in behavior. I don’t think that it is automatic. If I were to believe this, than I would need to look at my “body of work” to help determine whether or not my faith was genuine. My response was that this passage refers to the coming of the Holy Spirit to indwell believers and empower them to do miracles and works. I told my frient that I believe the Holy Spirit does enable us to perform works for Christ. I told him, further, that we are set aside for good works, not by good works, and that we need to encourage one another to do works under the guidance of the Holy Spirit. I am glad to hear that you are recovered from the LS monster. Would you be willing to share how you came to see the truth? Thanks for coming back to visit and comment. You might wish to subscribe to our posts if you have not already done so. We are blessed that our site and commenters have been of value to you. I have posted previously here, but I wanted to thank you all for the great information I learn from this web site. Lordship Salvation teaching is something that has been weighing heavily on my heart over the past year. It as if the “wool” has been removed and I am beginning to see. I believe there are many many that believe (and do) as I used to (i.e. do my part + trust in Jesus as Saviour). For example doing my part as in whether that was “turn from sin, commit, surrender my life fully, make Jesus Lord, mean it with my whole heart”, etc. along with trusting in Jesus as Saviour. Thanks for allowing this site be used as a lighthouse to spread the Truth about Salvation. My heart rejoices over God’s free grace. Thank you. You could kid with Pastor and tell him IF he reads them all the way through and IF he believes it all and IF he tells you about it, then you will give him those gift books. Naaaaaa that would be cruel. Praying for you as you speak with him. It was great to have you join us today. Come back again soon! Blessings on you and your family as you serve the Lord. ExPreacherMan, john , and Marcella : Thank you so much for sharing. I pray for all those here who have experienced trials that you will continue steadfast in faith and love. May the grace of our Lord Jesus guard your hearts and minds as you continue to serve Him in love and pray for one another and forgive those who have caused you pain. Romans 4:3 For what saith the scripture? And Abraham believed God, and it was reckoned unto him for righteousness. Bruce, great idea to give him the books. I think you may have been led to deliver a message to this pastor to help eliminate any confusion he may have. Maybe he will be on here with us one day! I also do not support churches or ministries that carry a false gospel message. I’ve found several ministries and organizations that label themselves, “Christian” but are promoting a false gospel. Just because something uses the word “Christian,” doesn’t mean that it is Christian. Many of the false teachers I used to follow used “Christian,” to define their ministries, and they called themselves Christians. On the subject of baptism, if the person being baptized has to answer correctly to questions the Pastor asks him or her, isn’t it submitting to man’s desire for the correct response for being baptized? If a person is wanting to be baptized or feels that God desires them to be baptized, they should obey Him. I was baptized as an infant in the Lutheran Church that I grew up in, and the Pastor would say, “Baptism automatically makes us a member of God’s family.” As I grew older and heard that, I believed it, so for 29 years of my life, I thought I was saved because of my baptism. Then I heard someone talk about the lie that infant baptism offers salvation or makes us a member of God’s family, and it made me so angry. After I got over the initial shock, I realized it was a lie and that I had been decieved into believing something that was false. I almost joined a church recently, but after meeting with the Pastor, I realized there was so much false teaching in the church doctrine! Also, in order to become a church member, I would have to answer a few questions. I knew I could not stand up before God, the Pastor and the congregation and say, “Yes,” when I knew in my heart, I should be answering, “No!” so I chose not to join and left that church. I knew what those questions meant, and I could not agree to them. Imagine a new believer or someone, who is not saved at all just saying, “Yes,” to new member questions or to questions asked at baptism, without realizing what they are saying, “yes,” too! I agree with Jack that Bruce’s Pastor’s question is confusing, and if it’s confusing to someone, who is a born again believer, wouldn’t it be even more confusing to a new believer? What are they really agreeing to? Nowhere in the Bible did anyone have to answer any questions prior to be baptized! If that was a prerequisite, the Holy Spirit would have made it plain when the Bible was being written. There’s so much manmade, made up doctrine, rituals and rules in some churches that it makes my head spin. Who is preaching the true gospel anymore? Yes, LS is a false gospel. It causes people to depend on their good works, rather than the finished work of Jesus Christ on the cross. I was under the deception of LS, but didn’t know I was deceived until last year. I had fear that I was not pleasing God and He would punish me. I had fear that I needed to do things in order to be sure I was going to Heaven, and if I didn’t do enough, I wasn’t guaranteed a place in Heaven. LS is sending more people to hell. It’s a manmade plan of salvation, not God’s plan! Stone, I am unable, in good conscience, to participate in churches or support ministries that promote LS. For example, the Southern Baptist Convention teaches a form of commitment salvation that I believe frustrates Grace. I have found at least one church within the loose SBC affiliation that is Grace oriented. However, when I asked the pastor about the SBC LS Statement of Faith, he said he agreed with it. This is a guy that I was trying to reason with, who understands Grace, but was not williing to concede that the SBC Statement of Faith was inconsistent with the Gospel. So, I quit attending that church. In a similar fashion, I won’t support Operation Christmas Child, or Samaritan’s Purse, or any other of the Graham ministries’ outreach efforts, because that organization teaches “turn from sins” for salvation. While I think the efforts to provide disaster relief and minister to underpriveleged children is laudable, I don’t want to aid and abet the spread of a false gospel. Thanks for dropping by and thanks to Bruce for inviting you. God’s Word mentions several references to heretic, heresies, etc and in the KJV New Testament. I will mention one here. The words heretic, heresy, heresies mean a person or teaching that causes schisms or disunion in the body of believers. A proponent of Lordship “salvation” always causes fractures and disunion in the Body of Christ. And no doubt there are believers within LS fellowships (maybe innocently) yet most LS proponents will deny that Grace alone through Faith alone in Christ alone is sufficient for one’s salvation. LS folks require visible works or testimonies to prove to some person or leader (Chan, MacArthur, pastor, church, etc) that they are truly saved. In other words, theirs is a message of works “salvation” and not by Grace. And if these LS folks are truly trusting their LS message for their salvation they are frustrating the Grace of God and by God’s Biblical standards are not believers. Stone, I pray this helps answer your questions — You may search our site for “Lordship salvation” and you will find numerous articles with more details than I am able to put here. Likewise, if you have further questions, please ask… someone here will be happy to answer you. Bruce extended an invitation for me to post this here. I have read and heard Lordship Salvation referred to as being heretical and another gospel. One author contends the Scriptures command us to separate from those who teach it. I believe Lordship Salvation is contrary to the Scriptures. I would like to get opinions from the participants of this blog in regards to separating from those who teach Lordship Salvation. Are we to separate from those who teach Lordship Salvation? Would you consider Lordship Salvation heretical and/or another gospel? I’m thinking of two brothers in the Old Testament, who lit fires as pleasing sacrifices to the Lord, but one brother’s sacrifice displeased God, so He put the fire out. I cannot remember where this is or who the brothers are. Someone please help me out here. Sons of Aaron! There’s a sermon in that one. About your Pastor’s Baptismal question, why not ask him what would he say or do if the person being baptized simply answered the question, “No!” without any explanation. Interesting thought. I agree with Jan, I’m not clear about the Pastor’s intent. Bruce, the more I think about this, it is more than heavey handed. It is illogical. Consider this: No one can honestly answer yes to this question and then follow-through with it. Everybody still sins, and Jesus would not have you sin. In addtion, the interviewee would have no idea what this question might entail. A “yes” answer, therefore, is dishonest. Jesus would not have you give a dishonest answer. A “no” answer might result in the pastor’s refusal to carry through with the baptism. Baptism is something that Jesus would ask a believer to “do”. So, this is a stupid question. He said something to the effect that his intent in asking the second question was simply to elicit a second statement of commitment to Christ and his finished work on the cross alone for salvation. He stated that his intention was NOT to imply any promise of good works added to salvation. Thanks again to all of you for your responses. You have been a big help. With Isacc, it was all about trusting that God was in control and Abraham had the faith to believe it. That is what the Lord is looking for- will we believe in Him and trust in Him by faith! He promises that He will deliver us and sanctify us! Another story- Ruth, a moabitess-a pagan, was given favor- Why? because of faith. She believed in Gods promises. She had no idea how to live it, but she was willing to trust in the One who could deliver her. Rahab, a pagan, was willing to believe the spies because of their faith in God- she saw the power of God with Israel. She had no idea on how to live a godly life, but she had faith to believe it. On and on Scripture is clear: God wants our belief in Him – He does the work from there on out. You and most of us here know the answer.. It keeps the new guys trapped by fear of breaking a public promise and thereby remain locked into a commitment to that preacher, church, organization or group. To simply Let Grace be Grace (to quote John) is a danger to the LS hierarchy’s method and means. That is the shame of LS and so many other religions. Excuse me I meant to say “roll”! Boy when I get on these blogs my elementary spelling really shows through- :)! All of you guys are on a roll!!! There’s some great teaching goin’ on here!!! We read of all these examples of OT and NT saints promising God and failing, yet in the end they simply rely on the promises of God — one wonders how, given God’s Word, LS ever got a grip on Christians. (Oh, that’s right, they twist God’s Word). It obviously boils down to — man chooses to believe men rather than God. (And promise-ism, commitment-ism, Lordship-ism, etc all build the congregation and bank account more rapidly). Jan, I didn’t see anything “not nice” about your comments. They were all great. Often the truth stings a bit but is not fatal and it does get our attention. Great lessons. did not convince Christ did he? It was not until Peter was humbled by his denial of Christ that Christ was able to work in Peter. All throughout Scripture we have seen instances of men trying to things in their own efforts but have fallen short. Even Abraham tried to do things without relying on God to intervene and caused problems, yet God commends Abraham on what- faith! With Isacc, it was all about trusting that God was in control and Abraham had the faith to believe it. That is what the Lord is looking for- will we believe in Him and trust in Him by faith! He promises that He will deliver us and sanctify us! OK. One more thought. I think whatever it is God (not men in God’s name) is asking you, He does provide the grace to do at the time He wants you to do it. He provides for you to know this thing is indeed His will (He tends to make it rather obvious, and that seems to happen in inverse correlation to our innate inclination to do the thing, usually due to difficulty or some other kind of cost factor: the less likely we are to do the thing on our own, the more He assurance He provides it is His will, and the more power seems to be present to carry it out. But whenever someone came up to Him and asked about what good thing they must do, we find they didn’t really mean it after all. The rich young ruler who asked what good thing he must do to get eternal life wasn’t willing to follow Jesus’ instructions and the crowd that asked what work they must do to work the work of God didn’t like His answer any better. Off the top of my head I can’t think of anyone who honestly did the “whatever” that came out of God’s mouth after implying that no matter what it was, they would do it. Maybe there is someone, but I can’t think of who. I just keep coming up with the opposite. When Israel took up the burden of the Law and said “all that He says we will do,” well, look how that turned out. While I would have had a whole lot more trouble with that question had it been asked in an evangelistic interview making the person say that to get saved, rather than a baptism (which implies the person is already saved and has been saved for at least long enough to understand the meaning of baptism), I still don’t like it. I have yet to notice God making such a sweeping request of me. His usual deal with me is, I want you to do THIS. Or, I want you to give Me THAT. He is very specific. I don’t think He deals in vague generalities that way. I don’t think anyone can really give a truly intelligent answer to a question like that. And then you have to get into all the parsing of what kind of thing He would ask you to do and how He won’t ask you to do anything He won’t supply the grace to do, etc. which really takes all the flash and drama out of the question and makes it kinda pointless anyway. Rather, God works line by line, precept by precept. I really think the fact that these people were obeying God in getting baptized was all the obedience He was looking for at that particular moment in time. I wish the candidates would have known to say, well, I hope so but I don’t know about what He might ask me to do tomorrow, or even this afternoon. But I know right now He wants me to get baptized so that’s what I’m doing! And then of course there’s Peter, who made all sorts of valorous claims to faithfulness only to find himself rebuked at every turn. Oh I’ll jump out of the boat and walk on the water! only to sink beneath the waves and be rebuked for having little faith. Oh no Lord! they can’t arrest you! I’ll smite this slave (not the really important guys,notice) and cut off his ear! There! See how devoted I am? I’ll always defend your name! (While maintaining my insistence that this shall never happen to You, even though last time You called me Satan for taking that attitude.) And then Jesus rebukes him and fixes the damage he caused. And then the best epic fail of all: the Apostle who swore upside down and backwards to Christ’s face that even if everyone else forsook Him, HE never would. And then swore upside down and backwards 3 times that he never even knew Jesus. Which was just exactly what Jesus said when He rebuked him YET AGAIN. And the moral of the story is, yeah. You might like to see yourself as wholly committed and willing to do whatever He asks you to, but He knows what’s really in your heart. And He knows you need a Savior because you are not even the merest fraction of what you wish you were. You just wait till that dragon is breathing down your neck and see how far your flesh-generated “commitment” takes you. Bruce, as to your open question above, this is heavy handed. But, it could be construed as a condition of church membership, and not technically as a necessary condition to salvation. The week, before I was baptized, I asked the pastor who baptized me what testimony he would ask me to make. He said he would ask if I had accepted Jesus as my personal Savior. If the question had been “have you accepted Jesus as your personal Lord and Savior” as is the custom in many churches, I would not have gone through with it. Why do the Lordship Faith teachers find it so important to try to elicit a public promise of lifetime commitment to Christ? Isn’t it good enough to trust Christ by faith and then let him lead by his Word and by his Spirit? By the way, no problem about Smith, Marcella. It led to some rousing discussion. Yes, it was Cain and Abel that I was thinking of. Thanks, Bruce! I’m sorry if I went off on a tangent about Chuck Smith. I just don’t like false teaching, and because I was under so much of it during my cult days, I tend to get bristled up sometimes. Are you referring to Cain and Abel? Abel’s blood sacrifice of an animal, given by faith at God’s command, was pleasing to God and therefore accepted while Cain’s sacrifice of fruits and grains was a sacrifice of the works of the flesh and unacceptable to God. Cain ended up murdering his brother over his jealousy of God’s favor on Abel’s sacrifice. I’ve been reading about the sacrifices in the Old Testament, how the Lord commanded the people to sacrifice bulls, rams, etc. on the altar as an offering unto the Lord, sin offerings. The people obeyed the Lord and honored Him. Today, we no longer have to sacrifice anything because Jesus Christ was the sacrificial Lamb, who was slain for the forgiveness of sins. The LS folks have devised their own sacrifices in the hopes of pleasing the Lord, but they are in vain. I’m thinking of two brothers in the Old Testament, who lit fires as pleasing sacrifices to the Lord, but one brother’s sacrifice displeased God, so He put the fire out. I cannot remember where this is or who the brothers are. Someone please help me out here. I just think that the sacrifices or fires that the LS try to concoct to please the Lord are snuffed out. It’s like trying to strike a match against a wet piece of wood. Oh Bruce that second question was awful! Again the “give me results/proof that you are saved” questions. The funny (not really funny) thing is that many (and I mean many) that are out there preaching this stuff are ones sometimes that get caught in major scandals. Legalism will produce sinful results, not quite what it promises it will do. Look at the monks and priests in the Catholic Church- always trying, but never reaching their destination. The Catholics constantly think how they can even make it to Purgatory. What waste! This is what the Gospel is here for to release us from death that is a result of the law. So now we tag on another man made system called LS and state that ONLY if you make Jesus you Lord you can be saved. How in the world would I know how to make Jesus my Lord if I were an unbeliever? Confusing to say the least! With Calvinism and LS it is completely confusing because in one instance they say there is nothing you can do to be saved because either you are predestined or not , but then in the next instance you are suppose to make Jesus your Lord before you are saved! No wonder many that get caught up in this system get tangled. I don’t think in the least that your comments on “promise” salvation or “commitment salvation were over the top. Strong attacks on God’s grace necessitate resolute responses! Your comment below was so piercing and strong; it expresses well my long-time concern about preachers trying to force promises of commitment out of young believers. Jan and others, isn’t the second question a complete demonstration of lordship salvation and, in effect, a denial of the first question? Thanks to all on this site for your keen insights! POWERFUL article!! Thanks for sharing your thoughts with us. I will want to go back and reread your article to thoroughly digest it. Thanks, Jack for posting this. (laughing) Thanks for your comments, Jan. Yes, LS gives me a headache, too! Whew! Who could possibly measure up to their standards of salvation?! Faith, that passage in Galatians says it perfectly! Thanks for sharing that! Grace has also given me such relief in knowing how to deal with my children and husband – with grace. All three of my children are His children and I am very thankful for that. They understand that they are saved by grace and not works. I used to get angry because they did not behave and now have realized that I was demanding perfection and not relying on Him to do His work in each and everyone of my kids. It has allowed me to relinquish control. A wonderful book to go back to each and every time is Galations. Paul was to the point about the law and legalism. 1 O foolish Galatians! Who has bewitched you that you should not obey the truth,[a] before whose eyes Jesus Christ was clearly portrayed among you[b] as crucified? 2 This only I want to learn from you: Did you receive the Spirit by the works of the law, or by the hearing of faith? 3 Are you so foolish? Having begun in the Spirit, are you now being made perfect by the flesh? 4 Have you suffered so many things in vain—if indeed it was in vain? 5 Therefore He who supplies the Spirit to you and works miracles among you, does He do it by the works of the law, or by the hearing of faith?— 6 just as Abraham “believed God, and it was accounted to him for righteousness.”[c] 7 Therefore know that only those who are of faith are sons of Abraham. 8 And the Scripture, foreseeing that God would justify the Gentiles by faith, preached the gospel to Abraham beforehand, saying, “In you all the nations shall be blessed.”[d] 9 So then those who are of faith are blessed with believing Abraham. I had some serious addictions before and after I got saved. It took several years for me to get free from those, but it was only by God’s grace that I was able to do it. The addictions just became so repulsive to me that I had to stop. We all struggle with sin, and to suggest that we have to turn from sin in order to be saved is phony baloney! First, just imagine what it would have been like, along with dealing with addictions, to also have to deal with the idea that because you got saved yet your addictions remained that must mean you were not really saved after all. It is just this sort of thing that drives me crazy with LS. They do not believe we still have a sin nature and have no other explanation for the continued existence of sin in our lives except that we are not really saved. Second, their teaching would demand that unless and until your addictions were gone, you could not even begin to claim to have saving faith. A REAL salvation testimony would have to be that you got saved and were delivered from all your addictions AT THE SAME TIME. Some people claim this happens so I suppose God does sometimes work this way. But imagine if this was the REQUIREMENT???? Most addicts would be lost forever with no hope because they would know they cannot kick the thing, but would think they would have to in order to be saved. Or else, they would have to promise God they would do the thing everyone with any common sense KNOWS they cannot do and that is stop the addictive behavior: stop drinking, or heroin, or whatever. Not to mention the sheer irrationality of it. Don’t they claim that we are enslaved to sin and that we cannot do anything but sin? What then could possibly be the point of promising God that you would stop even non addictive sins, let alone addictive ones? So now we have the gospel that in order to get saved you must lie your face off to the God of the universe or else He won’t save you. Tell Him lies, tell Him sweet little lies ’cause that’s what He wants to hear? How demeaning! I realize they would say you don’t really have to actually stop these things to get saved, you only have to promise obedience to God. But could they possibly institute a more vacuous, more comprehensively worthless promise, especially from an addict??? I don’t think so! And another thing they haven’t figured out. Any promise of obedience from the old man is worthless as he cannot obey God and the new creature does not need to make any such promise because it is not the nature of the new creature to sin in the first place! There is no place in the gospel for a promise of obedience from us!! Good grief!! Marcella, what a wonderful testimony. We are set aside for good works, not by good works. That’s me “marcee1970.” I’m not sure why that shows up sometimes, but I do go by Marcella. Thanks, Jack and John for posting this wonderful article! There is so much perversion in the LS camp, idolatry, et al. False versions of the Bible only add confusion to the gospel message by twisting and chopping it up so that it aligns with man’s way of salvation. I heard an interview on the radio today of a man, who played a Christian in a movie. He lived in a place, where sin was rampant. The Christian fell into temptation, got drunk, met a lady, had a relationship with her, and she became pregnant. This Christian repented for what he had done. Then the story goes on that the Christian forced a Jew to get into a river so that the Christian could baptize him. The Jew refused, but after much persuasion, he went into the water. The Christian held the Jew under the water so long that he drown. The Christian then declared, “I got the devil out of him, Lord!” How morbid! I thought of the Pentecostals and their wild exorcisms to cast devils out of people. No one turns from sin or becomes sinless in order to be saved. How perverse! I had some serious addictions before and after I got saved. It took several years for me to get free from those, but it was only by God’s grace that I was able to do it. The addictions just became so repulsive to me that I had to stop. We all struggle with sin, and to suggest that we have to turn from sin in order to be saved is phony baloney! If my behavior, attitude or actions had to prove that I was saved, most people would say I must not really be saved. Praise the Lord that salvation is not dependent on any of these things! Praise GOD for the free gift of grace through His Son, Jesus Christ! By the way, I like this format of the blog. My computer is old and so slow that I usually have to type my messages that in a Word document and then copy it into this text box. I was able to type out this message with no problems! You folks are nailing the “come-on” appeal of the LS and anti-Grace movement — They try to motivate with peer pressure, programming, fear and the “I don’t want to leave my friends” syndrome. Yet pure Free Grace Gospel life — left unfettered, can produce the desire to serve and a love for the lost. As John says, Let Grace be Grace!!! I imagine that some folks will try to twist my defense of Grace into condoning sin. This is part of the programming. But the real truth is just what Faith said. Grace produces neither legalism nor license, but love. It just does. I have often said that the LS people really don’t trust the Holy Spirit to produce the effect He desires so they must rely on Law, fear, and the verbal lash. Pearl you are exactly right with this one- I experienced this one in the church I was in for two years. At first, I thought “all right- they are preaching grace and no works” then you start to realize that works really do play a part in LS teachings. Very, very subtle it is. It has still taken me awhile to get over because there were several Christians I became close to while at this church. Thanks for visiting. Appreciate your comment. I find John’s article to be an exceptional piece, a veritable play-by-play handbook, exposing the errors of the anti-Free Grace and LS forces. A keeper! I also give thanks to JOHN for his words! What he has said is true. Faith, you are absolutely right. And it’s amazing to me how often I have read LS advocates say the exact same thing. There are countless mines hidden just beneath their camps’ surface, and only they know where. They preach free grace, but they don’t really mean it. If I never read my bible again, they would certainly choke on that, and insist I wasn’t really saved. I have no hesitation in asserting that the majority of people believe this. It boils down to my behavior in relation to accepting Jesus Christ’s free gift: if my behavior is unpleasing, then I’m not really saved. On the other side of the fence (free grace), a person exhorting another to live up to his calling as a prince of God, must be verrrrrry careful to frame this exhortation in all kinds of bible verses, such as Jack did above when he preached to the choir. It is interesting John how really the defense of Grace actually produces the opposite effect. Rather then it condoning sin, Grace compels us to WANT to serve Christ more. But through this we also know that it Christs work alone that produces the desirable outcome in a Christians life. There was (and is) nothing, and I mean nothing that I did or am doing right now when it came/comes to change in my life (such as, anger to gentleness; pride to humility; etc.) that has been done by own efforts. Christ did it! He gets the fame, the praise, and the glory for it and He only and rightly deserves all of it! I do hear alot about sin, but it is usually in the form of the social gospel message- if you are not giving to the poor; if you are not giving up your possessions, etc And yes you are right that the message of grace is perverted- guess where? RIGHT BACK TO WORKS! I imagine that some folks will try to twist my defense of Grace into condoning sin. We know that God does not condone sin, and therefore we should not either. Having said that, I think people hear from the pulpit way more about sin than they do about Grace. Further, I think what people do hear about Grace, irrespective of the source, is often corrupted. To that end, we should allow Grace to be Grace. We should not hem and haw about it. We should not be ashamed of it. We should not spend so much time on caveats that our message is drowned out. I neglected to mention that this post was a personal email I received from John and am posting it with his permission. These are excellent thoughts, as Faith says,”to chew on.” I especially appreciated John’s illustration of the “seems likes.” and their oh-so subtle perversion of God’s Grace. Yes, I know, I’m preaching to our wonderful choir! Thanks John for your article- alot to chew on. God’s gift, Jesus Christ, is definitely a free gift and easily attainable, but man has continually preached that it is complex and unattainable. Who do we listen to- man or Christ and His Word?